The last part of our trip through Pais Vasco is split between the two rival cities of this province: Bilbao and San Sebastian. They pretend to hate each other, but I think it is in jest, like the relationship between Oakland (like Bilbao…the city that has a rep for being industrial and grungy, but its scrappiness gives it personality and interest) and San Francisco (like San Sebastian… the picture-perfect city that all the tourists go to for very good reason, but that people argue is full of rich yuppies and is too expensive). However, we loved both cities equally, just as we love both SF and Oakland. 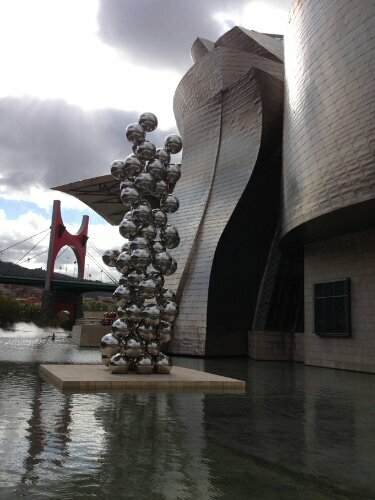 Everyone describes Bilbao as “industrial” and that all it has to offer is the Guggenheim museum. 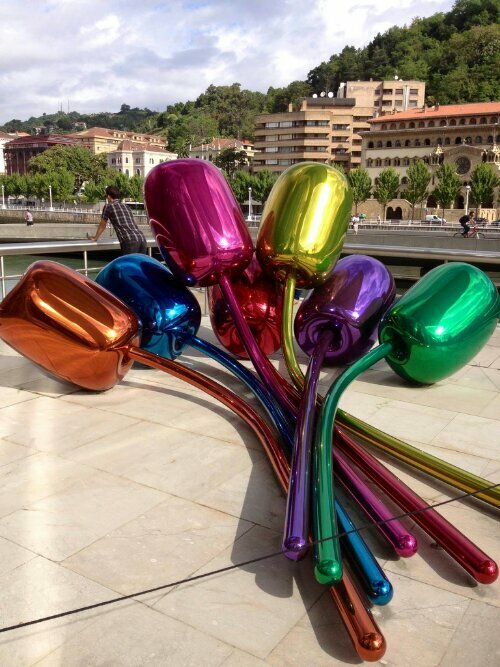 Well, even if that were true, the Guggenheim is spectacular enough to warrant a visit. However, I think the city has so much more to offer than just that! 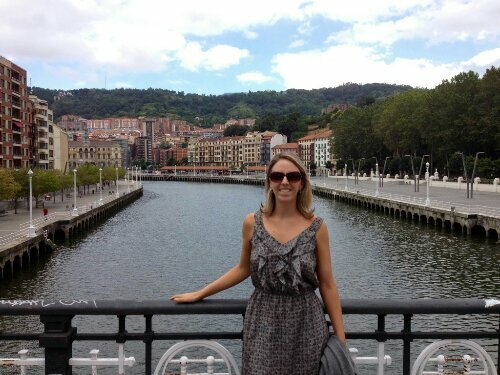 It has beautiful plazas and parks, a pretty river running right through it, and an awesome old town filled with great pintxo bars and cafes. This was my second time visiting the Guggenheim, and once again I spent so long enjoying the exterior of the building and the permanent exhibits on the first two floors (four hours!!!) that we were too hungry and tired to make it up to the third floor. 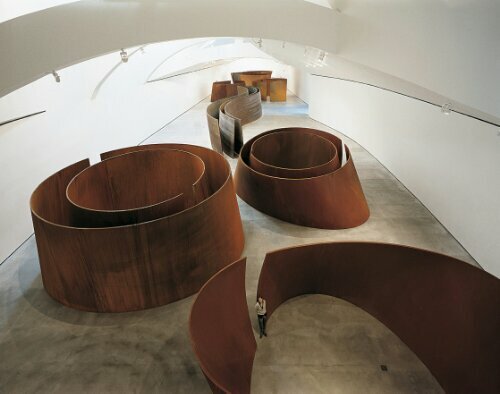 It really is an exquisite building, and the permament steel sculpture exhibit “Matter of Time” by Richard Serra is mind-boggling. In this larger-than-life exhibit, you can walk through each of his steel torqued elipses and panels and experience hundreds of thoughts and feelings about time, matter, space, breath, people, technology, solitude…. trippy. 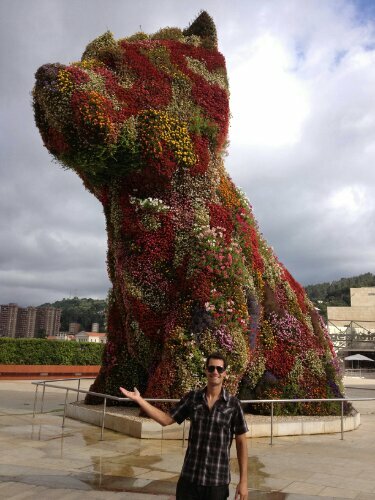 It’s also worth noting that the flower dog and the stainless steel tulips below are done by the same sculptor. Now that´s multimedia. 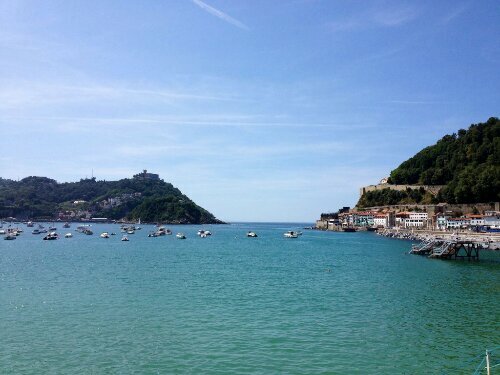 After Bilbao we moved on to San Sebastian, which is as beautiful and fun as you´ve probably heard from anyone who has been to Spain, so I don´t actually need to say much about it. 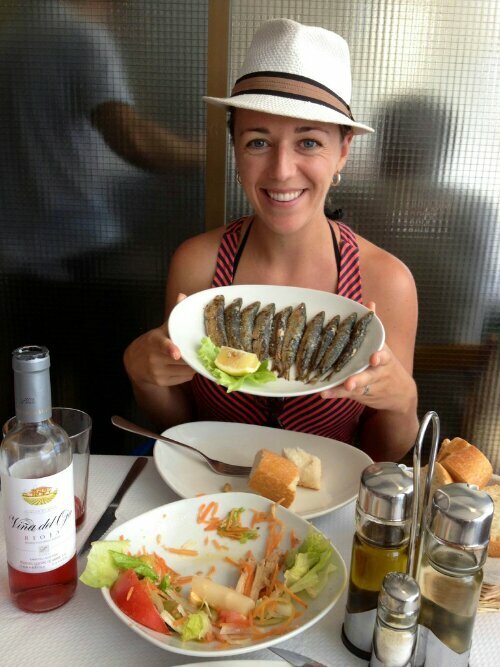 Beautiful long beaches, great food, fun atmosphere, and totally worth it. 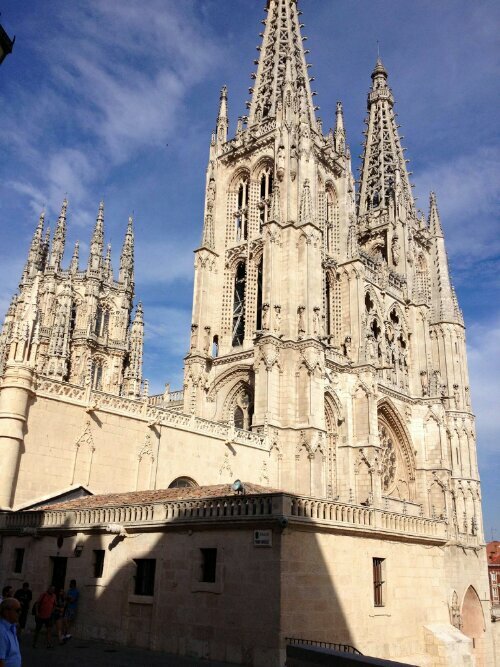 On our drive home to Madrid, we decided to stop in Burgos, a city about halfway between San Sebastian and Madrid. 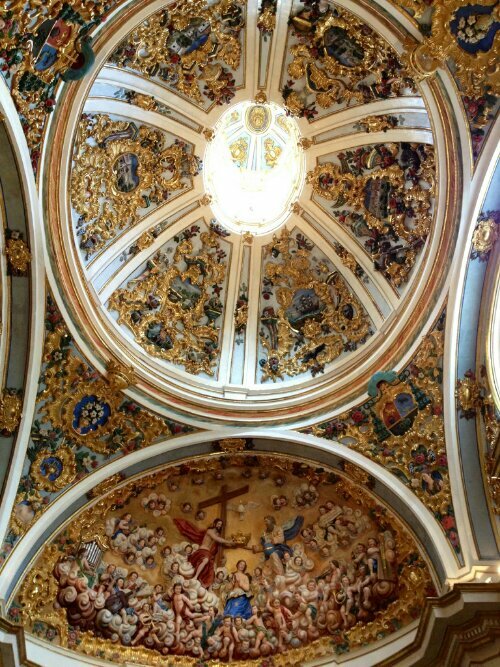 This city is famous for its ridiculously ornate Gothic cathedral. 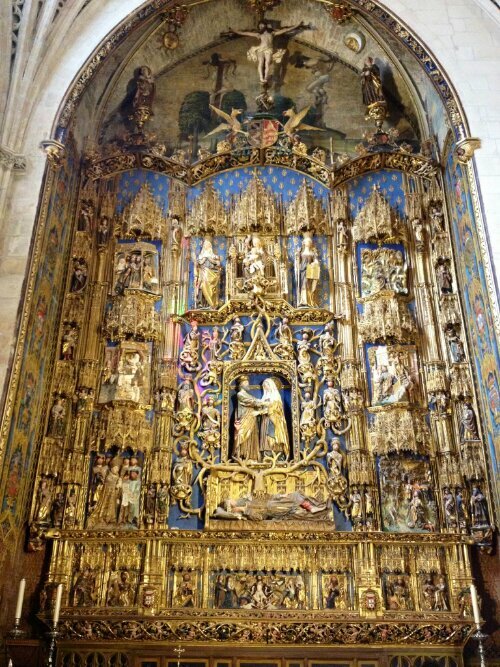 I have never seen a cathedral like this— each of the dozens of “minor” chapels inside the cathedral had more impressive altars than most cathedrals’ main altar. 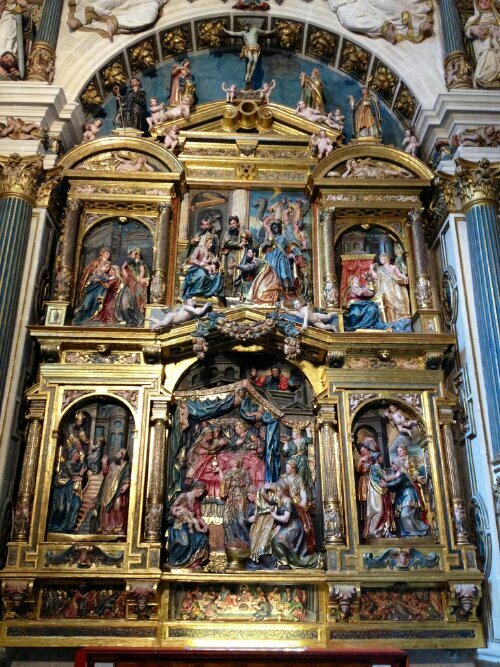 We learned this style of over-the-top decoration is called horror vacui, meaning “fear of empty space.” Below are some pictures of the chapels, and keep in mind that none of these are of the main altar in the nave. So now we’re back in Madrid and having some down time with the familia and hanging out with friends, but next week we’re packing the bags again and going to England! We’re going to stay with A.J. in London, and then we’re honeymoon crashing on Brittany and Colin’s honeymoon to the Cotswolds! We can’t wait to see you guys! loving the blog!! 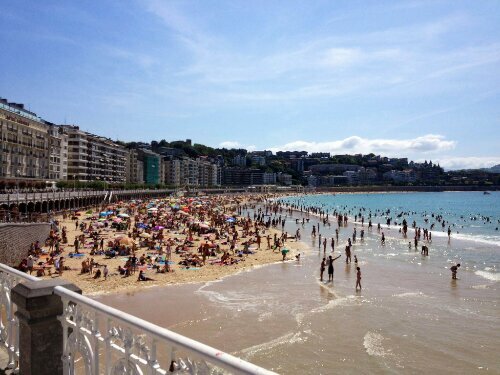 niall and i loved bilbao and san sebastian when we went a few years ago. keep writing about the travels!